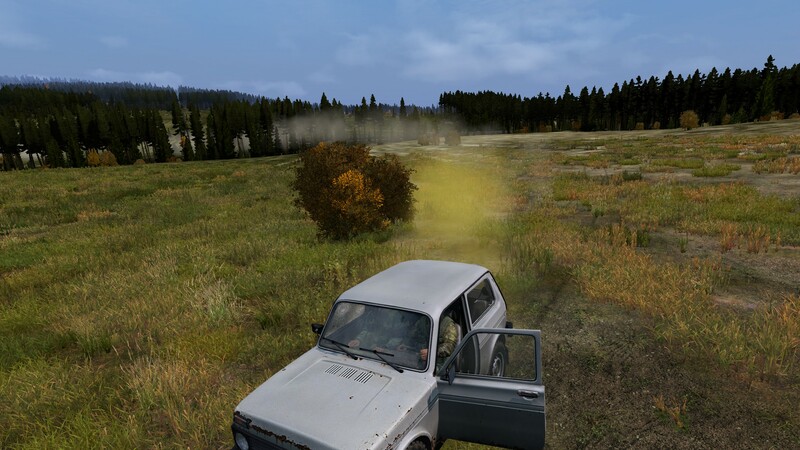 Haven't noticed it before today, but we had yellow smoke coming out of our 4X4. Drive 4X4, yellow smoke streams out some distance and then turns to white. Yep i can confirm that. I was with V3S, i crash into tree in maximum speed and when i looked behind i saw yellow smoke for like 2 seconds..